Our CPU of choice for this budget is the Intel i3-6100. While it features only two cores, the 6100 also employs hyperthreading to help close the gap between it and a 4-core i5. Hyperthreading adds an additional logical core for each physical core, which is handy for streaming, video editing, and multi-tasking CPU-intensive tasks. The i3-6100 includes a stock cooler, so a 3rd-party cooler isn't necessary. This is pretty budget as it gets unless you downgrade the mobo to a H110 to save a few more. When it was the 1050 ti, people preferred to add a few more $ to the 470. Now that this includes the 470, now people want to replace it with the 480 for "a few more dollars". So from a 1050 ti to 480 is a pretty high jump. Mind you, I'm speaking from a Canadian POV. Parts here are pricier than the US counterpart. I agree with you. The line has to be drawn sometime. A 470 over a 1050 Ti is worth it imho, especially since these builds have a good enough PSU. In many countries, a 480 commands a premium over the 470, and the 470 is so close in performance to the 480 I don't feel that it's worth the extra rice in a budget build like this. I basically am building this PC right now. I swapped the mobo for a gigabyte H110M-A to save a few bucks, and it provides me with everything I need. Also I didn't upgrade to the 480 because I saw some other people mention its only about a 5% power increase. I'm also in Canada, so the budget needed to stay tight. Is the new pentium better? its basically the exact same chip as it is 2 core 4 threads just like the i3. Can this beat an Xbox One or PS4? It can match a PS4 pro. Thanks. Time to show those console peasants! Almost any desktop can beat a console, especially this one. A lot of desktops can beat a console, especially this one. What are you talking about? Intel HD Graphics all the way broh. I was thinking about desktops in use rather than what's currently being sold. Yeah, I know. Everyone needs some comedic relief. right? I don't even know if "comedic" is an actual word. Excellent build! An i3 with a 470 combined with 8gb of ram and either a cheap SSD, 1TB HDD, or SSHD is a great starter gaming PC imho, and unlike the previous build, no money is spent frivolously on PSU's or cases that add to cost without much if any benefit. Sure people can tweak parts here and here according to their wants or needs, but this much performance for $550 is VERY nice. I'm assuming you bought a HDD instead of what's listed which is an SSD. By as early as january of next year this could change. It gets updated often as new parts come out and prices change. If I'm in Canada, should I by as early as well? He didn't mean buy it in January. He meant the build will likely change as soon as January due to new pricing and parts. So if you're planning on purchasing the parts a year from now. Set your savings goal to about $550 and when the time comes this or a similar build will likely be around. Actually you'd need a bit more since the prices doesn't include Monitor, keyboard, and mouse. I I agree with others. If you want to build next year, I'd say just save up and see what people recommend then. If you wait long enough, AMD Zen Processors will be out and will probably be game changers in terms of price/performance. A brand new entry-level gaming build should be available to reference on PCPartpicker, and things will have changed by then. This gaming build would definitely run all the games you listed at very high frames, and could run Overwatch easily at 60fps at high settings. But, if you ever plan on playing games like Battlefield 1 and other heavy games, you could run into some problems there. The RX 470 can easily handle Battlefield 1, the slight bottleneck of the i3 may affect it but even cards like the 1050 Ti can get decent frame rates at moderate 1080p settings. If you are planning on playing csgo, I would definitely upgrade the CPU, whether that be now or later. I just suggest doing it lol. CS:GO Could run on this with absolutely no problem. Ultra at higher than 60? No Problem. No need to upgrade unless you plan on playing anything actually demanding ie... Crysis, Battlefield, arma, and other games that actually tax the cpu. Reasoning is most csgo players play at 300+ fps. Many think you're at a disadvantage if you go below that. I can say that you can feel a difference in the smoothness of the game coming from 300fps to sub 200. Although, you won't see a difference, you will feel it. If you just plan on playing Overwatch you can downgrade the video card to a 1050 Ti and still get good performance for your needs while saving money. The RX 470 gives much more performance compared to the 1050Ti, for only ~$20 more. There's no point in getting a 1050Ti unless your budget was super strict. Actually there is a point, saving $20 because the games you play don't require that amount of power. I agree with you if you have an extra $20 to spend, but if that is your mentality then why not pay an extra sum for a 480 or better yet, spend some more on a 1060, you have to draw a line somewhere. But my theory in this case is 'Bang for your buck'. I would happily spend $20 for a 57%+ performance gain. This is also true, but the RX 480 doesn't really go against the 1050 / Ti in price or performance anyway. I'd seriously recommend adding a 1TB HDD to the build. AAA Games nowadays weigh around 20-50GiB. Everything else is great. You are talking about the sandisk ssd plus 240gb part from this build correct? If so, would there be a specific one that you would recommend that would be compatible with this build? I am building my first PC. I just dont know what brands to trust and dont want to get something that will not be compatible. Go with something cheap from Western Digital. Basically go with Seagate or WD. Unless there is a cheaper option you are comfortable with purchasing. +tavobenz https://pcpartpicker.com/list/6gndM8 I'd recommend getting this build I just made off of PCPartpicker alone. It's much better, cost $10 less, and is more powerful over-all (In games, the G4400 and i3-6100 have little to no differences. Now if you plan to do heavy rendering, video editting/encoding, etc etc..things that require tons of CPU power, then yes, the 6100 will be the better choice. The only things that build brings to the table is better upgradeability with that motherboard and a slightly better GPU at the frequent cost of framerates and stability along with a downgraded PSU. You see almost identical frame rates in most games between the 2. That said, I would still recommend an i3. Similar framrates, sure. But one thing to consider is that the pentium has considerably worse frame times. When the G4400 and Intel i3 have the same exact type of GPU (one that doesn't bottleneck each other) they have pretty much the exact same performance. I've already looked up videos between the G4400 and the Intel i3 processor this guy has. Both showed little to no differences at all. In fact, at most times, the FPS was 1-2fps better on the i3 but at most times that quickly went down back to how it was originally. And yes, in those gameplay comparison videos, hyper-threading was enabled. they have pretty much the exact same performance... Both showed little to no differences at all. In fact, at most times, the FPS was 1-2fps better on the i3 but at most times that quickly went down back to how it was originally. ... When the GPU is the bottleneck. Of course they will show no real difference when the i3 isn't getting the chance to. If you looked at the links in my first comment then you'd be able to see what the i3's HT alone can bring for framerates when it's less restrained. With the G4560 being released, this deserves a revision, in my opinion. You should be able to shave off about 30$ by getting the G4560 and a B250m motherboard instead. I suggest you message ThoughtA instead, as he's been re-writing this guide for a while now. We'll probably create the same build anyway. What monitor and peripherals are best with this build? 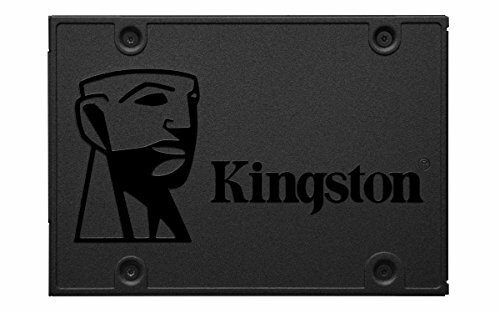 I would definitely add a SSD to your build. Having a HDD is great for storage, but putting your OS on a SSD is a must these days. It's the difference between booting into Windows in less-than 10 seconds or booting into Windows in over 30 seconds. Also, the overall speed of the system is much higher and more responsive. But it all depends on what you're doing with your PC. A clean install of Windows 10 takes around 20GB. If you play games, they can be quite large too. Both use an intel lga 1151 socket. They should be compatible. https://pcpartpicker.com/list/h6vHpb here's a list with your desired modification. Feel free to modify other things as well. Keep in mind you may need to buy an operating system and peripherals if you don't have any. You will likely either need a new mobo, or you'll have to update the BIOS. The Pentium G4560 is a Kaby Lake (Intel 7th gen) processor and requires an updated BIOS that most, if not all B150's ship without. To update it, you'll need a Skylake processor anyways, so it's a bit of a pain. I'd recommend just getting a B250 mobo. The extra cost isn't much and it's well worth the effort updating the BIOS would be, and it will come already compatible with the G4560. I'm new around here, and have been considering building a PC. I was wondering if It would be more price beneficial to upgrade to a RX 480 4GB instead of a RX 470 8GB. Also would it be better to change the RAM to Crucial 8GB DDR4 for a reduced price? I was thinking about upgrading the CPU, but there are so many that its really quite overwhelming to choose one. Any help would be appreciated, Thanks. Motherboard side of things consider one with the b250 chipset they're cheaper and perform the same as H270 mobos. i would recommend you the GIGABYTE B250m-ds3h best "bang for the buck" b250 there is in my opinion. As for your question: Yes, a RX 480 is much better than a 470 the extra money is really worth it. i wouldn't suggest Nvidia's GTX 1060 (either the 3gb or 6gb version) as it performs exactly the same as it's AMD couterpart but for more $$$. try to get a sapphire NITRO or a Powercolor red devil... amongst all 480s those cards kickass. Specs are specs you and add this or that, but really STEP #1 is get ride of that crappy case. A bad case isn't just ugly it harder to build in. Deepcool TESSERACT is that color blue that match NOTHING unless you have an old Intel H55 board form 2009...when the Tesseract was likely designed. Now that the Pentium G4560's launched with hyperthreading and performance almost identical to the i3-6100, and Zen CPU's are launching soon, the next version of the entry level build looks like it'll be very intersting. Agreed! We're gonna see how things shake out still, but it's seeming like the G4560 has a strong shot of being in the next Entry build. I was looking for comments mentioning the new Pentium. It might be worth swapping in next months update. It seems like it should be negligible difference in speed but would free up to $40 USD for possibly more storage, RAM, or a 480 upgrade to stay at the same budget. Should I wait? How long until the launch? I am looking for the absolute most budget pic you can think of. The only games I need to play are League and overwatch. I don't need excellent graphics just some really cheap. Does anyone have any ideas for what would work? Do this build but instead of getting an RX470 you can get either a GTX 1050 or an RX460. Go to the forums and there is a section where people can build you a list. So it doesn't need a CPU cooler? The processor comes with a CPU cooler that has thermal compound applied on it. Does the Motherboard have wifi? If you can, just use Ethernet. I have bought a seperate thermal compound already. I believe my besr bet would be to get the preapplied off, apply the new paste. Or should i just use the preapplied. Use the separate thermal compound. There is no pre-applied thermal compound. The thermal compound comes in it's own little packet that you have to apply. So you could just as easily as throw it away and apply your better thermal compound. What games can this handle? It should handle any game out there, merely with varying degrees of how well. You can play many AAA games in 1080p with very high / ultra graphics settings playably with the RX 470. That's 530 euros. idk the rates but I think yours is more expensive. This is a fantastic build, although I would recommend getting a stronger i5. I really love that I found this cause I have absolutely no idea what I'm doing, I just don't want to spend a lot. So thank u. You could also ask the community. A lot of us love to help and there are forums on the site. Good luck! Wow wasn't even expecting a reply, thanks man and where would i go to find the forums? Yeh you could. I managed to build a even better build then this one. https://pcpartpicker.com/list/6gndM8 Instead of a RX 470 it has a GTX 1060 3GB so yea, it's quite a lot better over-all. It's more about having been reviewed as good quality than the efficiency certification. These days, however, if a PSU is any good, it generally has an 80+ Bronze rating or higher, too. u wot? Neither of them make their own power supplies, OEMs (such as Seasonic, Super Flower, Andyson, HEC, etc.) make them and brand them as Corsair, Fractal Design, EVGA, etc. Sure. 80+ certifications are nice to have, but aren't the indicator of a good PSU. Look at the Antec VP450; no 80+ cert. but still an okay budget power supply. Then there's this HardOCP article that would be a good read. 80 Plus certifications are for power supplies of varying levels of power efficiency, not that it can provide the power you need or that higher 80+ cert means it can provide more power. If a PSU is any good, it has good quality components inside. Crap quality components can have a good efficiency rating, that doesn't mean they have longevity or reliability. 2 questions 1- Does the mobo have wifi? 2- Can I replace the storage with a Western 1TB? Can you recommend a mobo that does have wifi? I'm super new and have no idea how this all works, but my assumption is that im also going to need to buy windows 10 to run on the computer? Will it come with a disk drive to install it? If not how do i go about installing? If you don't get an optical drive, you can buy a portable one and return it when you're done with it, or you can use another computer to copy the .iso file onto a usb drive and plug the usb into your computer. Anyone have advice to the following error: We built this system but when right clicking on the desktop to access the graphics we get the following error message: "Radeon Settings are currently not available. Plase try again after connecting a dsiplay to AMD graphics and extending the display." We have an ACER monitor with AMD Freesynch. Any ideas? did we misinstall the graphics card? Connect the monitor directly to the gpu instead of the mobo. If you're still having problems, try reinstalling the drivers. Thanks for the quick response! So you think it may be best if I leave it how it is and go ahead and start buying the parts? I'd recommend getting this build instead https://pcpartpicker.com/list/6gndM8 It's so much better, cost $10 less, and is virtually the same exact build (For gaming, the G4400 and the i3-6100 have little to no differences, as to why I chose a Z170 motherboard is simply because of 1. Over-clocking. B. Future proofing. C. Lower latency between the RAM, CPU, HDD, and GPU over-all. D. A way better designed BIOS screen that is pretty easy to learn. E. It's just better in general and will last you a long, long time, even if you plan to upgrade, it'll be ready up to go. btw considering your new to PC gaming, you do know how to install Operating systems right? If you plan to install it from a disc, I'd recommend adding in a simple basic disc drive. If from a USB, it should work fine with that to as long as you know how to do it. Compare Ashes of the Singularity on those 2 CPUs and you may rethink your position. In games that don't put much load on the CPU, absolutely, they're near the same. But in games that DO rely on the CPU...you're looking at a 25% difference in frame rate. The price difference between your build and the same build with an i3 is only 9%. Gotta keep in mind that your ENTIRE system is needed to play games, so you can't just figure "This CPU/GPU costs twice as much and doesn't give me double performance!" because that's just ignoring the fact that you can't game with just a CPU or GPU, you need the whole system. When you factor in a 9% system cost increase that gives you much more performance increase than that...it's a pretty damn good deal. BCLK OC. You can overclock literally any Skylake processor if you have a Z170 motherboard and the proper bios. What type of games can this run? All of them. Age of the game will determine how pretty you can make the graphics. Could this build run overwatch or games like it with relative ease? I really like the build, almost identical to what I personally had. However, as much as I want to pull the trigger, the mobo is holding me back. I don't ask much, just a quick rundown on what I need to look for or what anybody who sees this is willing to tell me. I'm mostly worried about the fact that it's a b150 chipset, not because I know anything about this chipset, but because I don't. Is it superior to an H110? Will it fully provide for this build? And I plan on putting in another fan to help ventilation, seeing as the case only comes with 1. Sorry to bug, but I'm just worried since this will be my first build and from my pov, a rather expensive one. B150 is better than H110. H110 has PCIe 2.0 instead of 3.0(which doesn't really hinder GPU performance, especially lower end) and is a slower chipset(again, probably not something you will notice), it also has fewer SATA ports and supports fewer USB ports and has fewer chipset PCIe lanes(which means you can add fewer expansion cards like capture cards, WiFi cards, sound cards, etc.). Either chipset will do fine with this build(or any build that doesn't require overclocking or RAID). If you need/want more USB ports and SATA ports, go with a B150. How well would this PC run BF1 at medium/high settings? How much frames would this pc run on Csgo max settings? So this will get 30 fps 1080p on most games? Is it easy to put together? How much tax will be on the parts? Tax depends on where you purchase your items from. Most online retailers don't charge tax, but if you buy in a store you can factor in your local tax rate. Assembling a PC doesn't take a ton of skill or require you to be a PC expert, but it does require patience and a little bit of knowledge that can easily be obtained by watching YouTube videos. How difficult your build will be depends largely on the case you choose and whether or not you have a modular power supply. As for performance, I think this will get 30+ FPS in ALL games if you adjust graphics settings(and even 60 FPS in some cases depending on how old the game is and where you have the graphics settings). You won't be able to run everything on highest settings, but I think it's safe to say you will get better visuals and performance than a PS4 Pro. This will easily get 60+fps in eSports games and it could potentially get that mark in some AAA titles. You underrate the 470 or the i3, not sure which, but the i3's HT makes a big difference, where the i7's doesn't so much, in terms of gaming. The 470 is only 5-10% slower than the 480 which is the "budget VR card." The 470 is literally the "1080p gaming card," designed to get 60+fps on high/ultra settings at 1080p on almost all games. There could be a bottleneck from the cpu in some games, but it's unlikely, as even in games like Ashes of the Singularity, which is very cpu intensive while still requiring some graphics firepower, the i3 is only about 2-5% slower in DX12, and 20-30% slower in DX11 compared to the mighty i7-6700k. Should probably check the builds people have before trying to lecture them lol. I know exactly, first hand, what an i3 6100 can do. You do not get a solid, V-sync locked 60 FPS at all times on new games on ultra settings. I consider minimums, dips, everything. If you say something gets 60 FPS, I better not see a single dip below 60 otherwise it's not an accurate statement. I say things like 30+ because it's realistic, you will ALWAYS be above 30, but you will run into scenarios where max settings will get you mid 50s, and even dips into the 40s. That being said, all of that is playable and frame timing makes it look smooth. I just try to give people realistic expectations so when they do a build and load up BF1 or something and see dips in the actual FPS they don't feel lied to. Will it get 1080 60fps on killing floor 2, fallout 2 and payday 2? Those are the big that I play on console, and 1 probably will die in a few months, and the others supported worth nuts. Fallout 2 is something that I really want to play one day due to my love for the new ones. Definitely. There aren't really any games that wouldn't be playable on this system, just don't go in hoping for maxed out settings on every new game at 60 FPS. Everything will look nice and run smoothly though. As someone not accustom to 4k, I'm likely going to be sticking with 1080, so I'd imagine I can crank the textures on most games reasonably high. Yeah, and you'll find that you don't even really notice when you're not hitting 60 fps. As long as the pacing is correct I can hardly tell any difference between anything in the 50-70 fps range. If you're not dead set on locking at 60 in every game crank all the settings up, almost everything is still playable. I am a PC noob and Idk anything about PCs. I would like a PC (to play CSGO, Overwatch, and Minecraft. Jk no Minecraft.) under 700 bucks, in the budget I would like to include a monitor. Along with a good pair of headphones, if possible. (Mouse/Keyboard are covered) CSGO and Overwatch are the games that will be the most tolling on the PC (Is that the right word?) Would this be a good build? If I do buy this what monitor is suggested? I noticed he said "The i3-6100 includes a stock cooler, so 3rd-party cooler is necessary." Why is there no 3rd party cooler included? And if I need one that needs to be included. Or would it be best for a whole different build? Would this be a good cooler? Apologies in advance for the long reply lol. That must have been a typo, "not necessary" is what they meant. You get a CPU cooler with it and it's good enough for this CPU. If you're not happy with the temperatures out of the box, you can also adjust the fan speeds to run faster at certain temperatures. Information on how to do this is easy to find on YouTube if you end up wanting to. If you're not planning on building immediately and are interested in saving 50 bucks, wait for the Pentium G4560 to be released and reviewed(couple weeks I'd guess). The soon to be released Kaby Lake Pentium processors have Hyper Threading which basically allows each CPU core to do more work in less time(Skylake Pentiums didn't have this, but the i3 6100 does), so it appears that the main difference between the G4560 and i3 6100 is a 200MHz clock speed. In game, that translates to no noticeable difference. If the tests and reviews show the 1-3 FPS difference that I expect, then I'd recommend the Pentium all day for budget builds. If you want good headphones, the Logitech G230 are fantastic and usually you can find them for 30 bucks. I wear glasses and my ears stick out, but I can wear these for HOURS. If you want surround headphones(they're all just virtual surround) pair those headphones with a $10-20 USB virtual surround card. If you can find the G430 on sale for under 50 bucks, those are also good because they're just a different color G230 with an included USB sound card. As for performance, this build would play those games amazingly, and also any new game on high settings with more than acceptable performance. For the new games, there will be dips in frame rates, but nothing super noticeable or game breaking(consoles do it too, and often worse). I expect to see the i3 replaced with a Pentium G4560 once it's released. Theoretically only 5% slower, but costs 45% less. That's right, Pentiums are getting Hyper Threading! And with an MSRP of $64, Intel is taking a shot at the budget market as well with this refresh. First time building, have a low budget. Could I upgrade parts later as needed for better performance? Or do I have to start fresh? The motherboard that this build includes is compatible with a wide range of Intel processors all the way up to the new i7 7700K* and will be compatible with all desktop graphics cards for the foreseeable future. There will also be 2 empty slots for additional RAM, and you can even add additional hard drives if/when you need more space. As is, this build has a lot of potential and future upgrades could result in you having it for quite a few years. It's as simple as buying more RAM and putting it in, or removing the old video card and putting in a new one, same for processor. For now though, if you've got an extra 50 bucks to spend while building, I'd suggest getting a 1TB hard drive to go along with it, the SSD will get filled up fast with games. *New Kaby Lake processors(anything with a model starting with 7) will require a BIOS update on the motherboard. This is easy to do and won't be necessary with Skylake processors(6xxx), it's just something to know for future reference. Hey, one question, is it neccesary to purchase any other coolers for cpu or the case??? 1º I am thinking in change the XFX RX 470 4G for a MSI Radeon 470 8g, because the difference is just 50€ here in Germany, is this a good idea? 2º I am not sure about get 8 gb DDR4 or 16 gb DDR3. What will be the best option? The 8GB version of the 470 provides such little performance increase that I wouldn't recommend paying extra money for it. If you want better than a 4GB 470 I would recommend just getting a 6GB 1060, or if you play games that are known to run better on AMD hardware, an RX480. 8GB of DDR4 is enough for gaming. I feel that it would be better to get 8GB of faster RAM now and add more later if you want than to spend less on 16GB of slower RAM now. How many fps will this run on Csgo? If you do that, get a 7400 instead. Non K Kaby Lake are a few hundred MHz faster than Skylake for the same price. I've got a system with a 6100 and one with a 6600, unless you play CPU intensive games exclusively the i3 does a good job of keeping up with a GTX 1070(even at 5864x1080). I do understand why many people would want the peace of mind of an i5. The 7400 is basically the same performance as a 6500 for 20 bucks less. can this pc play at high or mid graphics : Black ops 2 , Call of Duty: Black Ops III ,Battlefield: Hardline , skyrim , gta V / IV,metro last light , far cry 4. cs g,o, ?new games,etc.. I'm new to the whole pc thing and I don't have one yet so would this one be a good gaming pc? Is this compatible with a GTX 660? I have a very old build with that card, and want to upgrade to something that can run 64 bit windows but could save a lot of money if I could keep my old GPU for now. I've been playing on a 2012 laptop for a while, so I've kind of been under a rock about this stuff. Can this run games like Fallout 4 or Overwatch with good quality and framerates? I decided to spend a little more on chipset and more ram (I'm a tab monster) and a little less on the GPU, but the GPU could easily be swapped for a 470 for a few extra pennies. Personally 240GB is way too small, so I sacrificed some speed and went for a 1TB HDD. Very nice build but would it be able to play a game like H1Z1 and also stream off obs at the same time? It was, but the new Pentium G4560 is almost identical performance to the 6100 (a little tiny bit lower) but it's almost half the price. Hi, it's my first post.Coming from 10 years of gaming on console and laptop, i'd say I plan of building my first custom build. I'd say my budget is slightly above this so i'd like to future proof my build compared to this one. Where should i put my 100 -200 $ remaining budget? I already plan of building this in a Fractal Design Node 804 .I'm thinking the motherboard or going i5 with the rx470. I'm thinking maybe add another 3d card in 3 years , not sure if it fits in a Node 804 or which Mobo could do that? What would you do? So im heavily into Dayz Standalone and have been looking to buy a gaming pc, but i am quite uneducated to pc building, would this build run dayz and how well? I was wondering how well this would run h1z1 king of the kill? I am interested in building a pc that would be capable of playing it on medium-high settings. Also I plan on using a pc to stream my Xbox games via a capture card and obs. I would imagine this pc would be capable of doing so as I have a pretty solid internet connection. It's prolly a long shot but would it be capable of running a game like h1z1 and stream it via obs to twitch? I'm guessing no but worth asking. Any help is greatly appreciated as I am new to the pc building stuff. Could this PC and this monitor: https://pcpartpicker.com/product/W3yxFT/viewsonic-monitor-vx2457mhd (The one you suggested below) run new games like overwatch or battlefield 1? I don't need it to be at ultra settings, I just want to be able to play it at a good rate and decent graphics settings. I am considering buying this PC for my first one and I have a budget of about $800 dollars. I also wanted to be able to record videos/livestream. Thanks a ton! I'm not sure if I should be put off by the 'Pentium' title or not. More often than not people will write-off a product because of their preconceived notions about it. I don't know enough about electronics to really drill down into the details but it looks like this CPU is competitive with an i3-7100 and i3-6100. As for the other parts these are the cheapest I could find here within spec. Kaby Lake Pentium is no joke, adding Hyper Threading was a huge upgrade. You can honestly get by with the cheaper G4560 and hit frame rates within probably 2% of what an i3 6100 would get. anyone know where to find a build guide for this? (like how to actually put it together). im just getting into pc building and dont know what im doing really. i'd hate to screw up my first build. Do you need a WiFi card or some kind of WiFi adapter for this build? Would you be able to change the processor later on? this is my first budget build so far and I'm kinda a noob about pcs. https://pcpartpicker.com/list/nfNnwV Im mainly looking to play overwatch, CSGO, and world of warcraft. and maybe games like dark souls 3 and battlefield 1. any suggestions or forms of advice before i waste my money? I'd recommend swapping the i3 6100 for a G4560. It's a Pentium, but it has hyperthreading and performs almost as well as the i3 while being far cheaper. Is this build fairly compatible with future hardware/performance upgrades? Will this run H1Z1 good? If you are using a case without a window, then you can shave $20 off the cost by getting a non-modular PSU. Both Antec and EVGA have well reviewed 80+ options in the 430-450W range for $35. The bundle of unwanted cables can rot in the bottom of the case and nobody but you will know they are there... and they really won't impact airflow or cooling. The RX 470 listed is a reference model with a blower type cooler. These can be a bit louder under load in my experience when compared to open designs with 1-2 larger fans. Non-reference cooling designs only cost $5-$10 more. Worth researching if you like to avoid noise. That Gigabyte motherboard doesn't have the greatest reviews on newegg... I would likely look elsewhere, as there are other B150 options close in price. As others have stated, the H110 chipset might be a good alternative as well... if you will never go SLI/Crossfire or over 32GB of RAM, then the B150 boards probably won't offer enough for the price bump. If you live near a Micro Center, they have CPU/Mobo bundles running this month (Feb 2017) for $30 off. The cheapest Asus H110 mobo + i3 6100 can be had for $140 out the door and $130 after a rebate. I am also strongly considering the Pentium G4560. According to all the research I've read, it performs at roughly 85-95% of the 6100 but for $50 less. It all depends on the budget that my friend ends up giving me, but it's worth consideration. Using the G4560, a non modular PSU and a H110 mobo, this build can easily get down to the $475 range if pinching every penny is required... and you'll not sacrifice much, if any, real world gaming performance. 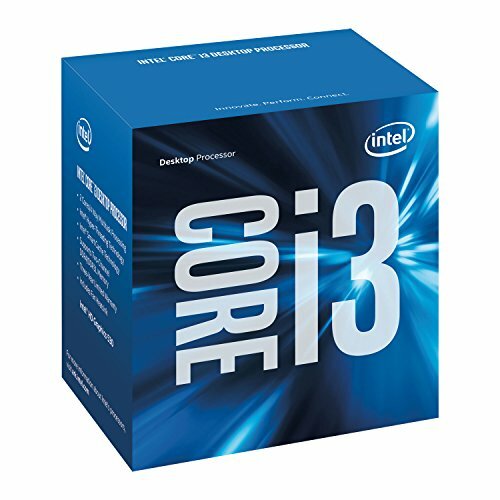 Can I switch the i3 with an i5 6400? If I used a Gigabyte GV-N960G1 would that PSU be strong enough to power it? Does this have an HDMI port? Would it be a good upgrade to use the new entry level i3 Kaby Lake instead ? Can I add a Seagate BarraCuda 1TB 3.5" 7200RPM Internal Hard Drive here? I'm looking to go with a dual monitor set up, would an I3 6100 be enough for streaming movies and games from one monitor, and gaming from the other? Was gonna help my son build his first computer. It's been 4 yrs or so since I have build a rig. Will this allow for upgrading in a year or two or should I look at something else. Thanks!!! So I'm looking at getting this build currently I have an ASUS 550q laptop but would this build play games like the new cod infinite warfare,advanced warfare or any 720/1080 first person shooter game?! i think i have a better option for you guys... take a look and tell me what you think about it! Maybe switch to the Pentium g4400 to save a couple bucks. Keep it polite or don't comment on this site. Last warning. The 480 is only around 5% faster and the MSI one has a $20 rebate and most likely runs quieter too . I personally never count on MIR's, but you're right, the 480's not that much faster. I have a 480, but the more I use it, the more I realize that a 470 would have done me fine. This isn't like the difference between a 1050 or Ti vs. a 470, which is massive. I don't count on MiRs either, but the powercolor 480 is significantly slower than the best options. The best RX 480s(tbh these are the best for most gpus) are the gigabyte G1(NOT THE WINDFORCE), the MSI gaming(NOT THE ARMOR), and the sapphire nitro(NOT THE BLOWER FFS). Both Gigabyte cards have the same design and needs a new BIOS to work properly. The windforce is just lower clocked. If you're basing the GPUs just by their clock speed which is not as important as good cooling.